/ Modified nov 30, 2017 5:24 p.m. 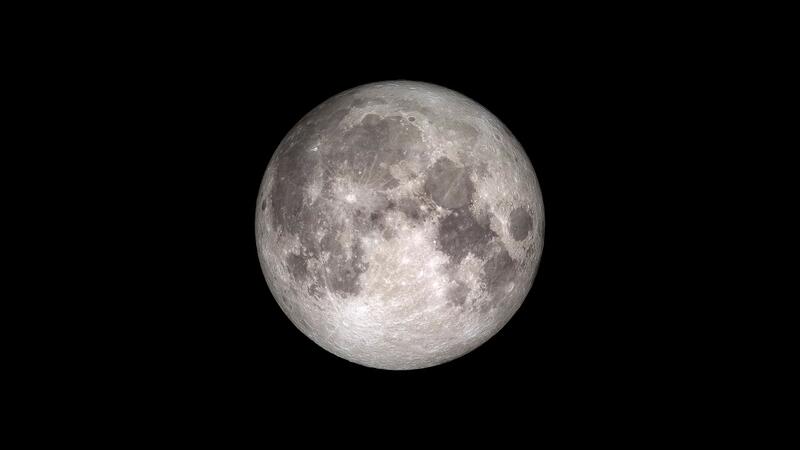 Image of a full moon from NASA. A full moon will glow in the night sky this Sunday, but not a standard, about-every-30-days kind of full moon. This one will be a supermoon, which happens when the moon is closest to the Earth in its orbit. "It’s called a supermoon because since it’s a little closer it’ll appear a little bigger in the sky and be that much brighter," said Adam Block, who works at the University of Arizona's Steward Observatory. He said supermoons look about 14 percent bigger and shine around 30 percent brighter than a normal full moon. "And when the moon is low on the horizon, if people should go outside and see the moon rise, it can be incredibly beautiful." In Tucson, the moon will rise at 5:38 p.m. Sunday. But Block says he thinks the moon will look even better the day before it’s totally full, on Saturday, when it will rise at 5:00 p.m.
"Because the sun will just have set and the moon is just coming up, it looks better against the twilight sky."